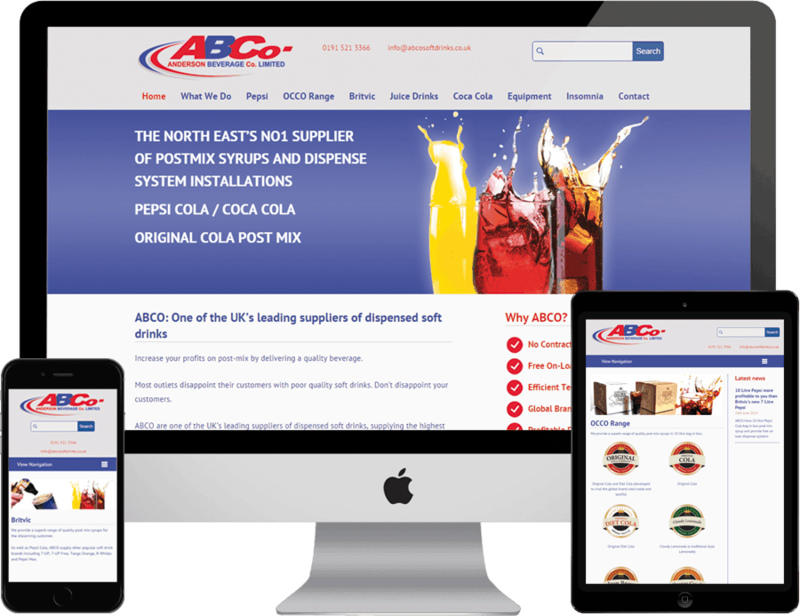 ABCO are a leading company in the supply and distribution of dispense soft drink syrups throughout the UK including brands like Pepsi, Coca Cola, 7-UP and Lipton Ice Tea. 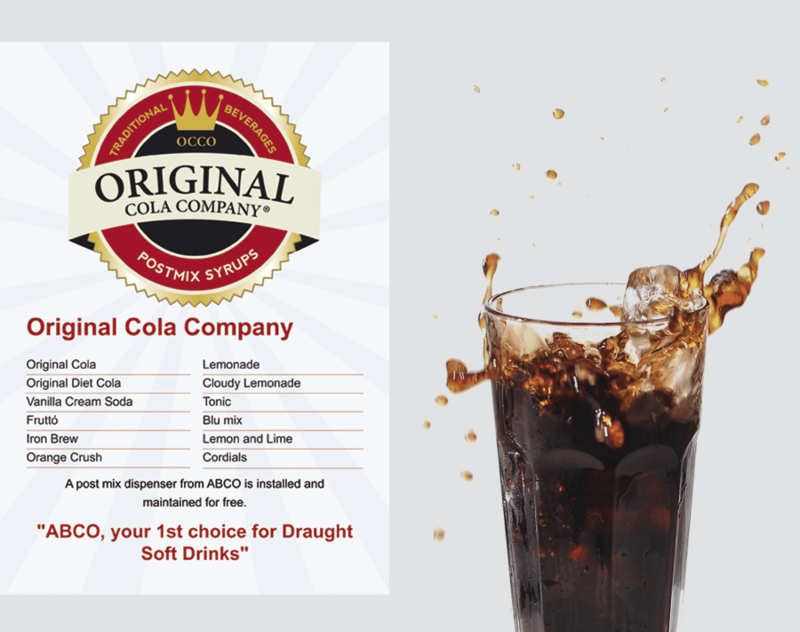 ABCO approached Urban River to create their own brand identity for a range of high quality drinks, ‘The Original Cola Company’ (OCCO). The new range of OCCO syrups are available to clients alongside numerous global household brands. The OCCO branding would feature heavily in all new marketing material for ABCO and throughout their website. Urban River designed and created a suite of logos to encapsulate quality with a retro feel across the vast array of flavours available under the OCCO brand. The resulting logos are unique and recognisable individually and work well as part of a wider range of flavours. The logos were designed square in shape to allow maximum exposure on all on-line and printed marketing material. The brand was subsequently rolled across a range of marketing materials both on-line and off-line in support of a series of larger marketing campaigns. Urban River continue to work with ABCO to further raise their overall profile within the commercial market through direct mail, web design, SEO support.